Easy to build electronics kit for all age groups. Extremely safe for kids. All components clip together, no soldering required. Using both parallel and series circuits. All pieces are colour coded and marked to show how the current travels. 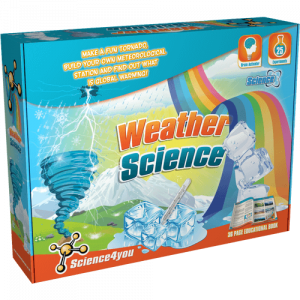 Smart box packaging and featuring 80 experiments. Clip circuit electrolab from Heebie Jeebies is an easy to build electronics kit. All components clip together, no soldering required. The design aspects use both parallel and series circuits. The kid learns the difference between the types of circuits. All pieces are colour coded and marked to show how the current travels and ease of use. 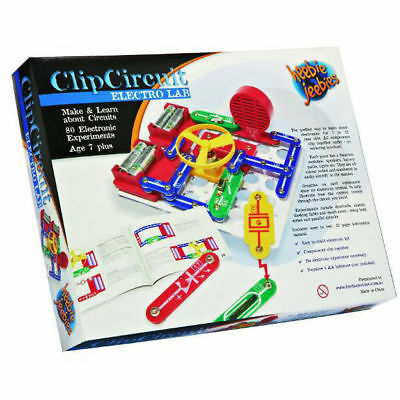 Clip circuit electrolab will give you a good idea about your child’s creativity and interest in Engineering. 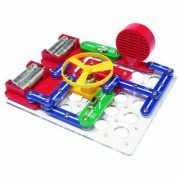 If your child wants to be an electrical or electronics engineer then you cannot go past this toy. 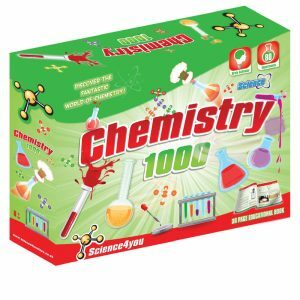 Educational toys are the best investment in your child and makes for best birthday gifts.